Our Other Services | Massachusetts | Prestige Health Care Services, Inc.
For Uranium Miners, Millers, and Haulers. Prestige Health Care Services (PHSC) specializes in caring for workers who contracted illnesses while working in the uranium industry during the Cold War. Prestige Health Care Services received its government-issued provider ID number for the US Department of Labor’s Workers Compensation Programs and proudly serves qualified beneficiaries under the Energy Employees Occupational Illness Program Act (EEOICPA) programs. This specialized care comes at no cost to the eligible individual or family. There are no deductibles or co-payments. Prestige Health Care Services, Inc. specializes in caring for workers who suffer from chronic conditions such as lung cancer, pulmonary fibrosis, silicosis, chronic beryllium disease, cor-pulmonale and pneumoconiosis caused by work-related exposure at one of the covered DOE/DOL worksites. Our staff works closely with your primary care physician, the US Department of Labor, and your family to create a care plan suited to your needs. The plan will optimize your level of health and keep you in the comfort of your own home. We believe our clients thrive by staying in their homes and communities surrounded by their loved ones. 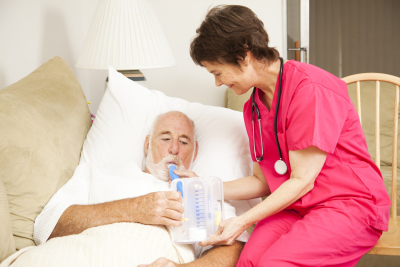 For more information, please look into the Home Health EEOICPA Brochure. For more information about the Group Adult Foster Care (GAFC) Program and other services, please call 508-757-7878.